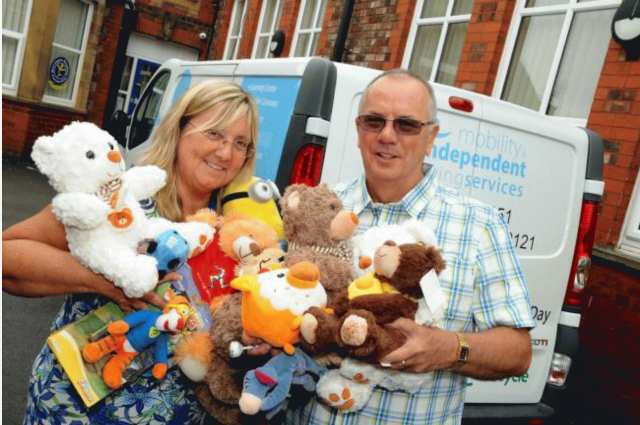 Janis and Dave Williams, Team WDP members and volunteers at Sankey Bridges-based Warrington Disability Partnership, will be present when Prince Harry and Meghan Markle marry at Windsor Castle on Saturday, May 19. The charitys chief executive Dave Thompson nominated the pair, who live in Latchford, for an invite to the wedding. Dave Williams, 60, said: Both my wife and I volunteer for WDP and on Disability Awareness Day, and Dave Thompson is a deputy lord lieutenant of Cheshire. He put our name forward to the lord lieutenant of Cheshire David Briggs, who nominates so many people to attend. We didnt know anything about it, but when we got the letter we were absolutely made up. Were going, but its not just for us - its for everybody else who does volunteers at Warrington Disability Partnership. The charity isnt about one or two people - its a whole team of dozens and dozens of people who do exactly what we do, and we were just fortunate to be nominated. Janis and Dave - who have volunteered with WDP for the past seven years - face a dash to make it to the wedding, as they are only due to arrive back in the UK during the early hours of the same day after a holiday in Egypt. Dave added: Were going on holiday and we wont be arriving back until the early hours of the wedding. We land at Manchester Airport at 2.30am, and weve got to be down at Windsor Castle for 9am. It was very last minute - we only got the letter telling us we were invited to the wedding two days before going on holiday - but everything is prepared now. Were getting picked up from the airport and shooting off there after showering and getting changed at home. Janis, 58, added: We were shocked when we found out. Were landing back in the country and then literally going to the wedding. Its going to be a great day but I think well be drinking Red Bull to try and stay awake - Ive no idea when well be able to sleep.